Beaufort's accommodation scene is quite limited. 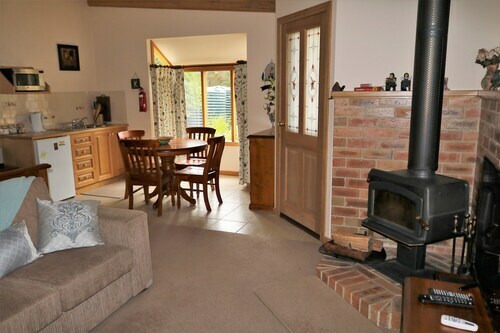 Book fast, as we've only the one listing within 30 kilometres. 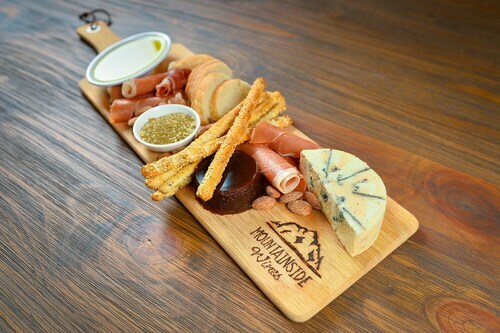 That hotel is the Blue House at Mountainside Wines, and it's the closest available option. Like to go further afield? You're in luck! Grampians offers many other things to see. Have a squiz at the history museums. Nature lovers should also take in the region's lakes, mountains and valleys. Visitors in this section of Australia can also enjoy rock climbing, mountain climbing and hiking. If you want to go to some close by cities, try Ararat and Stawell. Travel 40 kilometres to the northwest from Beaufort and you'll find Ararat. Alternatively, Stawell is 65 kilometres to the northwest. Hotels in Ararat include the Econo Lodge Statesman Ararat and Ararat Motor Inn. 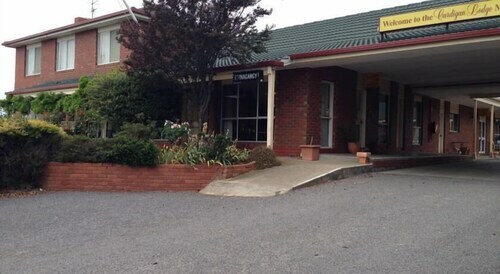 Stawell choices are the Comfort Inn Goldfields and Diamond House Heritage Restaurant and Motor Inn. If you're travelling into or out of Tullamarine Airport and choose to stay nearby, check out the latest deals at the PARKROYAL Melbourne Airport or the Holiday Inn Melbourne Airport. How Much is a Hotel Room in Beaufort? Hotels in Beaufort start at AU$168 per night. Prices and availability subject to change. Additional terms may apply. We arrived on a day of extreme windy and cold weather. The fireplace was great and the beds very comfortable. Very welcoming to our dog. Nice venue, dated furnishings and no hairdryer. Hot water took 10 minutes to heat up to a decent temperature.